Compact mini maps of Abu Dhabi and Al Ain created for the Abu Dhabi Tourism & Culture Authority. 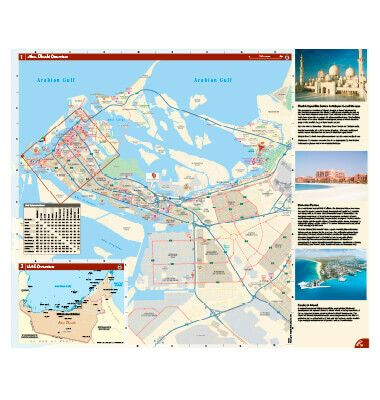 These essential guides to the two cities have been produced in English and Arabic, by Explorer’s award-winning team of cartographers, designers, writers and researchers, and are filled with facts and photographs showcasing Abu Dhabi and Al Ain's top sights. Both detailed maps are in Explorer’s trusted pocket-sized format with vibrant, colour-coded keys and legends depicting both cities’ must-see attractions, places to stay, shopping malls, restaurants, beaches, activities and more, with accuracy, clarity and precision.